Oh, the Jonas brothers. What can be said about the Jonas brothers? Well, for a start they're brothers. And they're the multiple male equivalent of Miley Cyrus/Hannah Montana  the face of Disney for the tween generation. 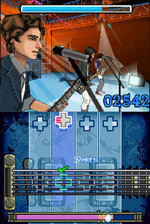 As a result, girls go crazy for the musically-inclined Jonas brothers and their pop-rock ways. Especially Joe. Or is it Nick that's the favourite? 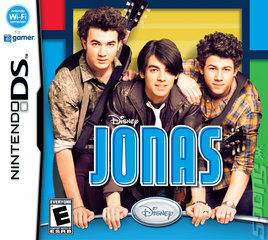 It doesn't matter if even Kevin's the one you fancy, if you're nuts for Jonas then this Nintendo DS release will be like a gift from the Gods. Jonas follows the premise of the Disney Channel comedy series of the same name, where the trio play the part of the Lucas brothers going about their not-so-normal lives. Your goal is to play each concert with striking accuracy, and you do this by exploring the Jonas world before and after gigs. Taking part in various challenges and collecting musical items will help you power up your guitars to pull off the performance with ease. 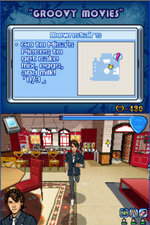 You can customise your Jonas band member using the collectibles you find as well. 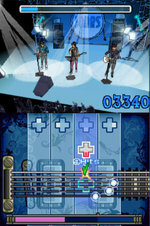 The best part for Jonas fans everywhere is the inclusion of a bunch of songs from the TV show, so you won't just be playing any old songs - you'll be playing Jonas brothers songs. What a treat for when you're on the road.